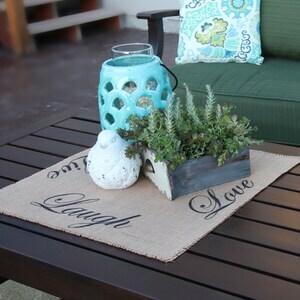 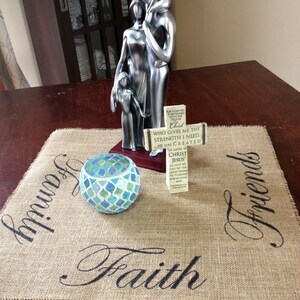 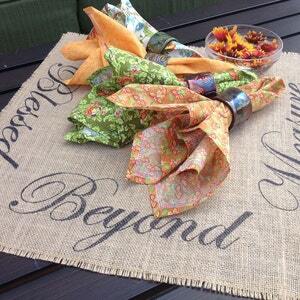 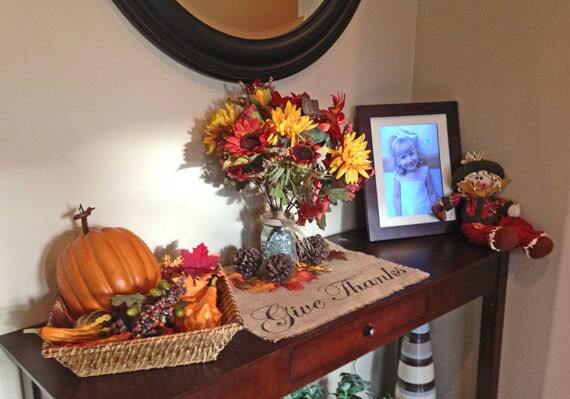 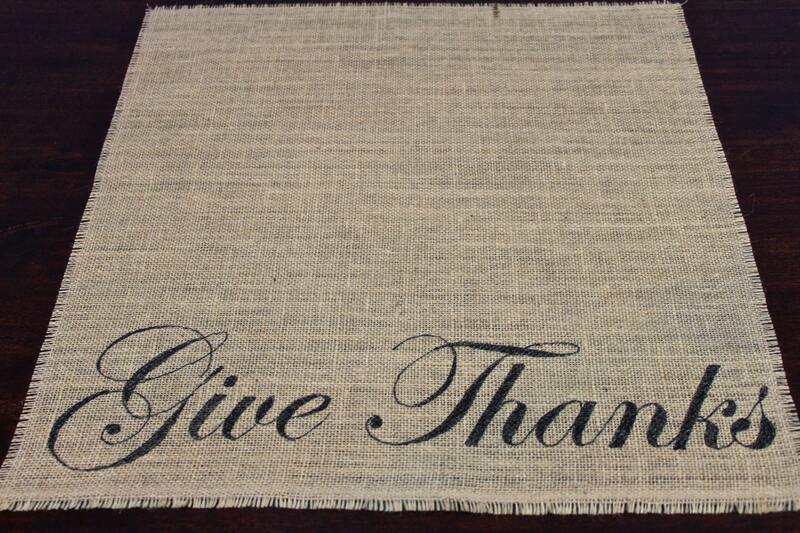 This burlap centerpiece mat is a sizable 18" wide by 18" tall square. 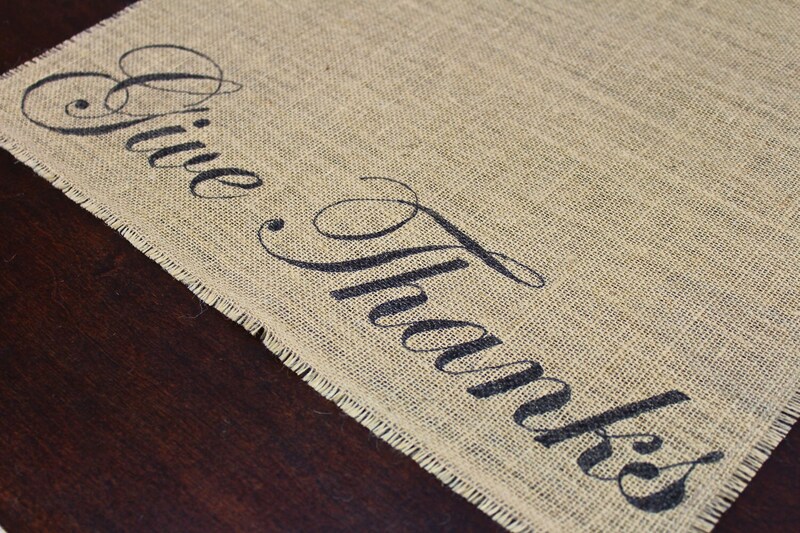 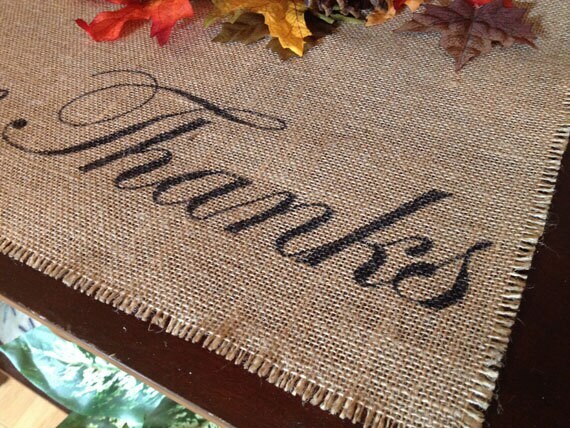 Give Thanks is custom designed by me and printed directly onto the burlap with specialty textile ink; NO paint, NO vinyl, NO stickers, just burlap. 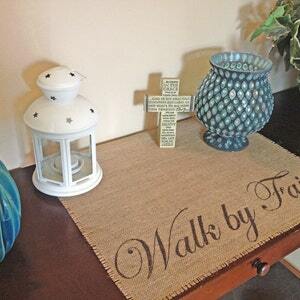 The edges have been frayed and sewn to prevent further fraying. 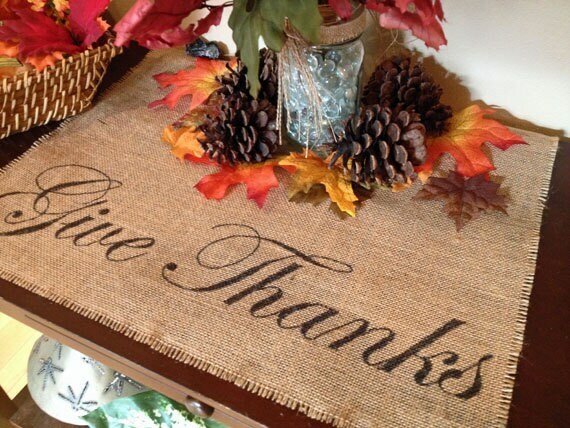 Please hand wash!